In the market for a new car? Give the 2017 Chrysler 200 a chance. 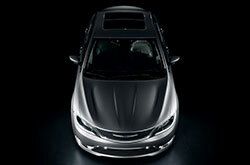 It comes with a slew of high-end features and two energetic engines for buyers to choose from. Safety-wise, it comes highly recommended by numerous 2017 Chrysler 200 reviews. From its modern outside and inside designs to its impeccable materials, you're going to love everything about this voluptuous vehicle. Continue reading to find out what it has in store for you. Valley drivers, make your drives fun again behind the wheel of a brand-new 2017 Chrysler 200 in Scottsdale. Available in LX, Touring, Limited Platinum, 200S, 200S Alloy Edition and 200C Platinum, the five-passenger sedan will haul you and your family around town in style and comfort. Outside, the car gets dressed with sporty 17-inch steel wheels, automatic headlights, and keyless ignition and entry for extra convenience. The list of state-of-the art standards continues with a four-speaker sound system, Bluetooth and a USB port. The Touring adds leather-wrapped steering, a rearview camera and an eight-way power driver seat with four-way power lumber adjustment. For more luxury, 2017 Chrysler 200 reviews recommend the 200C Platinum. 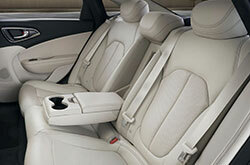 It comes with navigation, driver memory settings, ventilated front seats and a 10-speaker audio unit. 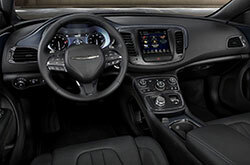 The 2017 Chrysler 200 in the Phoenix area offers drivers options when it comes to performance. For starters, there's a standard 2.4-liter four that makes 184 horses and 173 pound-feet of torque. Moving up the power pyramid is an available 3.6-liter V6 that is capable of generating 295 horses and 262 pound-feet of torque. However, no matter which one you choose, both are mated to a nine-speed automatic transmission. Front-wheel drive is standard, while all-wheel drive is optional. Top-tier safety gear like forward collision warning, brake assist, blind-spot and lane departure warning, automatic wipers and adaptive cruise control are offered on the 200C Platinum equipped with the SafetyTec package. All trims except for the LX get a standard rearview camera, which makes parking problems a thing of the past. 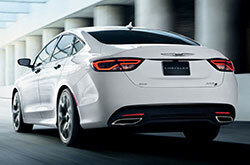 Come test drive one today at out Scottsdale Chrysler dealership! If you're not sure the 2017 Kia Optima, Toyota Camry, Hyundai Sonata and the Ford Fusion are appropriate for you, then take a look at a 2017 Chrysler 200 near Phoenix. 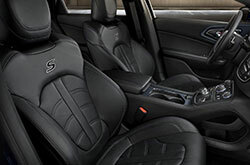 Its wide selection of state-of-the-art features and sleek exterior design may be just what you from a car. Find out if the 2017 Chrysler 200 is suited for you using our review and other research tools, then browse current finance incentives! We're a neighborhood Chrysler retailer where you can find hot manufacturer incentives - not only for the Chrysler 200, but also for other new and pre-owned cars. 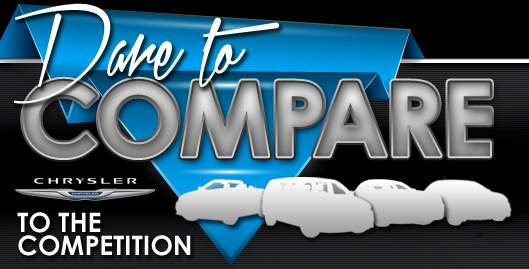 Our review is here to aid you with making a discerning choice when selecting a car, and we hope it contains the resources you need for this. 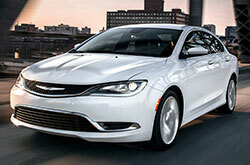 We have various Chrysler 200 models for sale in Scottsdale, AZ; stop by to be smitten with a test drive - sending a request for an appointment on our site is easy. Hoping for a chance to see it in full effect before you stop by? Look at our video walk-around to see its innovative exterior design.